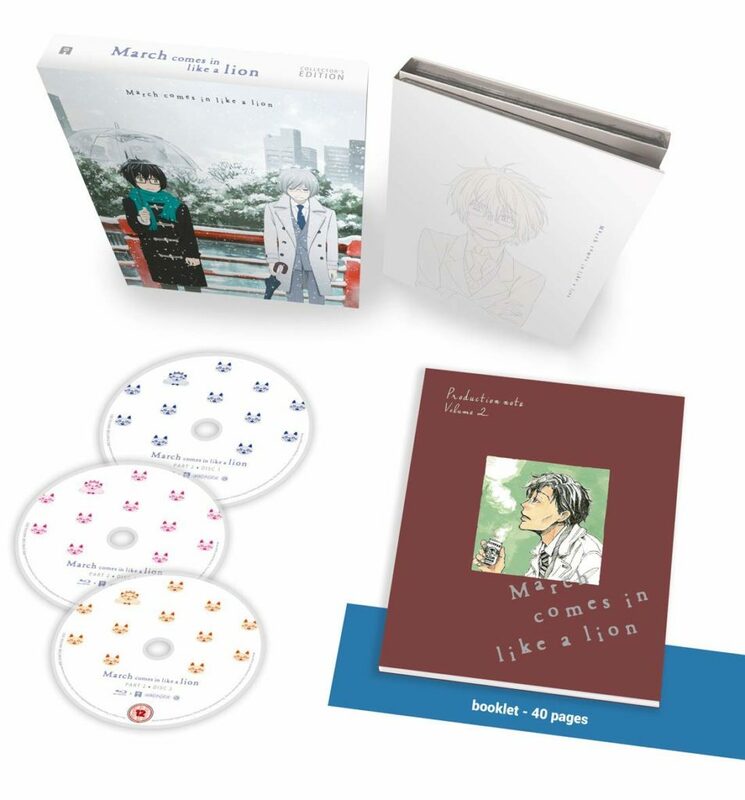 It hasn’t been very long since the Part 1 release of March Comes in Like a Lion and already we are being treated to Part 2, rounding out the first season. Considering how much I enjoyed the first part, expectations were relatively high as I continued to go through the anime adaption of the most recent manga from Chica Umino (creator of Honey and Clover). Despite it not being the usual type of show I watch, I was surprised by how much I found myself investing in the day-to-day life of its central character, Rei, and the continual struggle he faces in adapting to his circumstances as a self-sufficient professional shogi player. I also had a fondness for the Kawamoto sisters who are a heartwarming addition to the series to balance out Rei’s typically gloomy outlook. Outside of simply maintaining its general quality, I was little concerned going into Part 2 as I personally found Part 1 began to lose its balance of tone as it reached the end. It would sustain its brooding and serious tone for longer and longer, while before it would organically shift between the serious and lighthearted. However, I shouldn’t have worried. As I discovered during my experience with Season 1 Part 2, it continued to expand on what came before in several interesting and unexpected ways to round out an excellent first season. The story picks up where it left off with Rei continuing on his journey as a professional shogi player. Rei is becoming more and more aware of his own anxiety and depression. It raises a conflict within him that is explored in depth with the continued use of his narration throughout. He faces a dilemma: to concentrate and keep his shogi skills sharp, he believes he must isolate himself in his home and practice relentlessly, but this only feeds his depression. While time spent with the Kawamoto sisters puts him at ease and makes him happy, he believes this is a form of escapism and if he gets too comfortable it will be to his detriment as a player. The Kawamoto sisters continue to be a welcome addition of positivity to the series, just as before, and are used sparingly so as to never become an annoyance. They bring lighthearted and often comedic elements to the story that ease off a lot of the tension built up from the many struggles Rei faces. Their regular efforts to reach out and help Rei are also a large contributor to one of the bigger themes of this later part of the first series. A major theme of Part 2 seems to be that of loneliness and isolation, not only in terms of the story but in the structure of the episodes. It has become apparent throughout the series that although there are many people in Rei’s life that wish to help him, his self-worth is so low that he doesn’t feel that he deserves any help. After he experiences a particularly devastating loss that breaks him both emotionally and physically, Rei must address the fact that there is only so far he can develop as a player working hard on his own. Part 2 focuses more on Rei’s attempt to reach out of his introverted comfort zone. Looking to his peers for help, as difficult as it may be for him, may be the only solution to improve as a player, and even feel happier as a person. While in terms of the structure of the series, the focus now moves beyond that of just Rei at times, and looks to the supporting cast. For example, the second episode is primarily from the perspective of Tatsuyuki “Smith” Misumi, a relatively minor character in the series to this point. The shogi matches in these episodes are based around an event called the Lion King Tournament. It is still primarily from Rei’s perspective but the majority of the later parts of the series focus on the tournament progress of an older player, Kai Shimada, the teacher of Rei’s passionate rival and friend, Harunobu Nikaido. 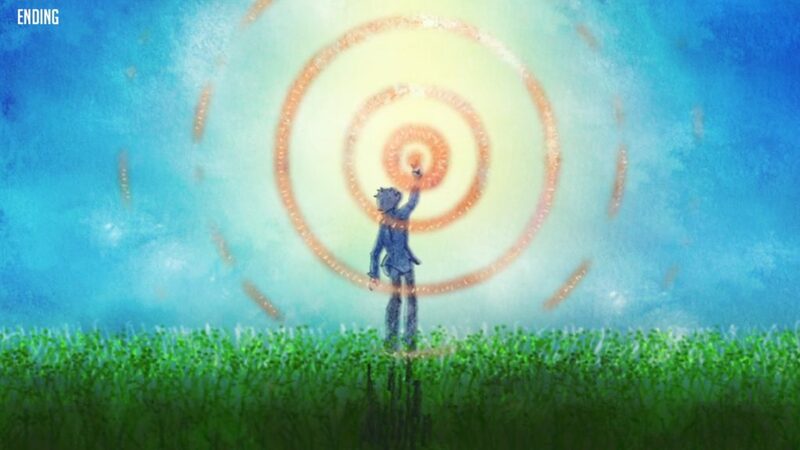 While the series maintains its serious tone more often through this part, the shifting perspectives and Rei looking outside his own bubble to the struggles of others, keeps the narrative involving as we learn of other characters’ motivations and difficulties. It’s rewarding to watch Rei develop as a character by not only accepting help but actually reach out to do the same as others struggle. This process of Rei trying to understand others works so well narratively as it naturally develops other characters around him in meaningful ways. This is exemplified by his relationship with Shimada as the shogi tournament progresses. The series has much more faith in the viewer’s understanding of shogi’s rules at this later point in the story, however, even without a good understanding of the game the story-telling methods used work so well that the viewer never feels lost. As it has been building our knowledge of the game over the first half of the series, it now starts showing us more detailed moves and strategies. It still has a heavy emphasis on the emotional involvement of the player, but instead of following the games more generally, it now follows particular moves and strategies during a game as well as the players’ reaction to each of these. This helps break up what would otherwise be a repetitive cycle of opponents, as well as allowing the viewer to take more away from each conflict on the shogi board, if they were invested enough to pick up on these strategies previously. Strategies outlined previously such as the “bear in the cave” appear again and we see how it is countered and broken down, gradually building on the knowledge we may already have. However, memorising these moves and strategies isn’t vital to appreciating these scenes, as the story-telling, characterisation and visual metaphors all effectively convey the gravity of the games and what each move means for the players. This more detailed approach to the games is appropriate during this arc, as it shows the increasing stakes of the games during the tournament as well as the greater ability of the players. The water motif continues to be used frequently but with some interesting twists to suit this stage in the series. As Rei struggles with his circumstances it is used more frequently, even enveloping his whole apartment when he feels he is at his lowest. It is described as “black water”. 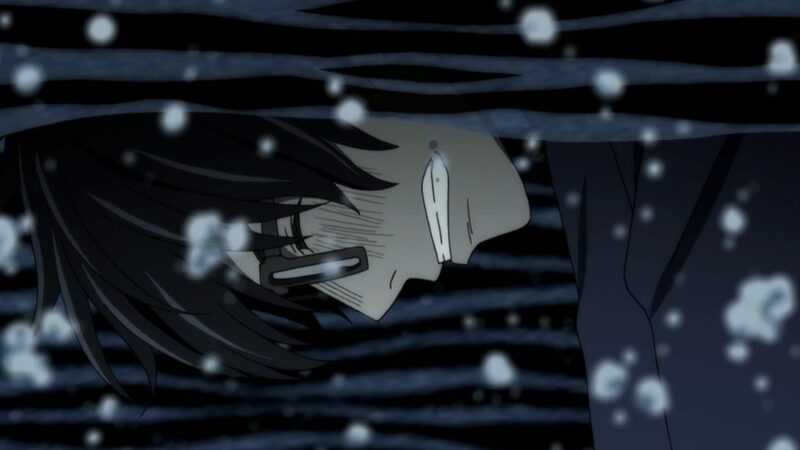 In the context of shogi, as Rei is submerged, it shrouds his vision and inhibits his ability to see what’s coming in the game as he is overwhelmed with anxiety and panic. In the more general context of the story, it is used when his feelings of depression become overwhelming and it prevents him from seeing an escape from his sadness. 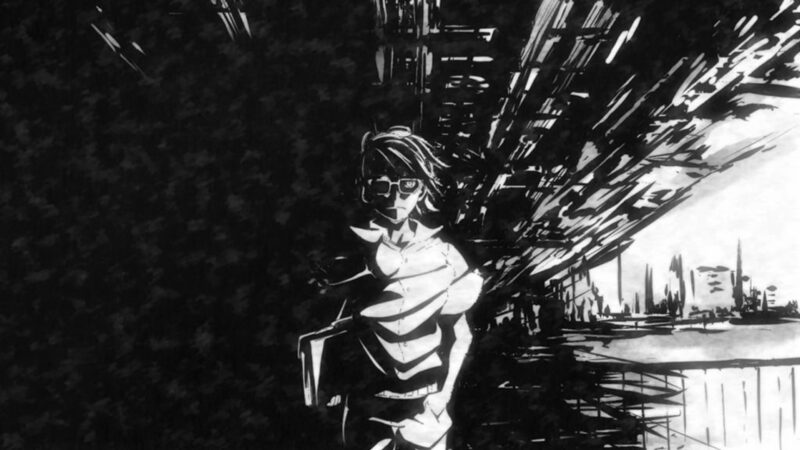 It even affects the colour palette of the series, as when these feelings overtake Rei, the colour is stripped back and muted or even reduced to black and white. 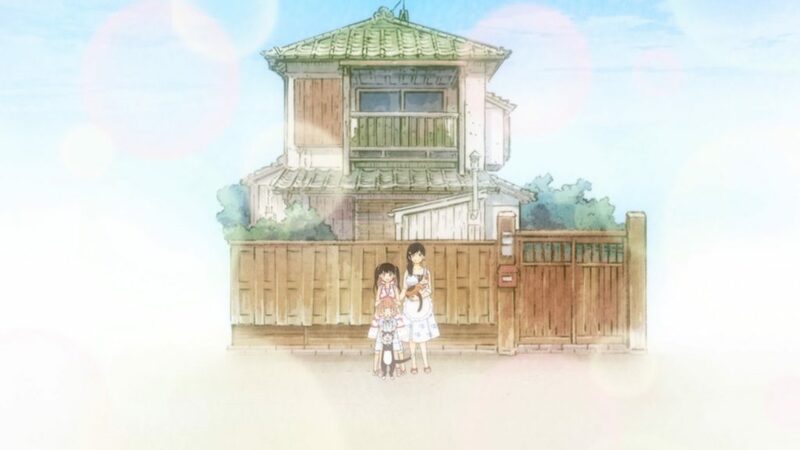 This is intentionally in complete contrast to the warm colours used for the Kawamoto sisters and their home which act as an escape from these feelings. As Rei further understands those around him, we find this visual metaphor being applied to others as well. 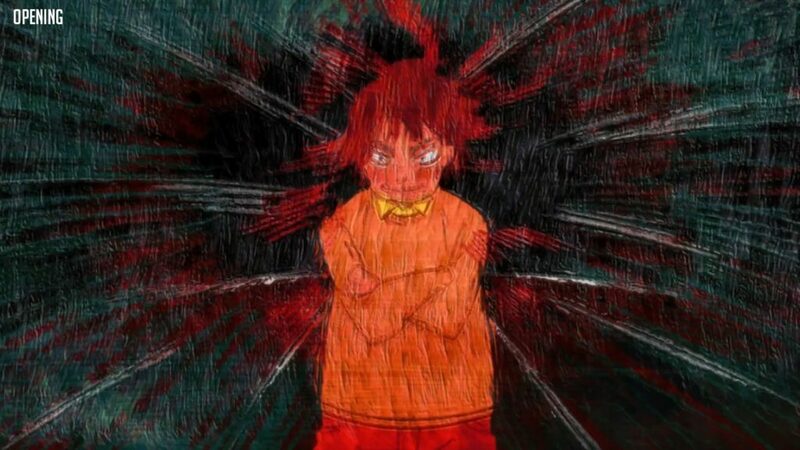 Both Kyoka and Shimada are shown to be affected as the series continues to develop its characters even further. Even the names of the episodes frequently reference the theme of water and the struggle the characters have against these negative feelings with titles such as Black River, Torrent and What Lies on the Opposite Shore. Shaft’s versatile visuals are still impressive, with the range of detail and style being used to either convey the story’s comedic aspects or the downright serious. Though I noticed more of a use of block colour in this part as well as the typical warm, almost psychedelic gradients used in the backgrounds of some of the more expressive moments. These scenes appear very simple but they stand out by being so distinct and usually come to represent an intense or abrupt emotion. 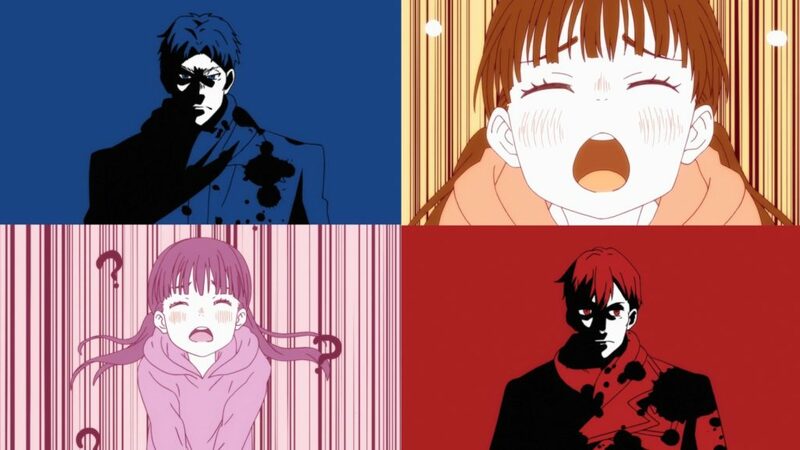 Shaft deserve a lot of praise for the many visual styles used in what could have been animated in a rather mundane fashion, being a slice-of-life story. Instead there is usually something to fawn over even in the series’ most normal moments. As previously mentioned in my review of Part 1, the series music is composed by Yukari Hashimoto and it continues to be excellent. The songs are memorable but also accent the emotions of each scene, whether they be upbeat and comical or sad and thoughtful. The new opening for this half of the series is Sayonara Bystander by Yuki, another upbeat, catchy song with a lot of energy and catchy vocals. Though the visuals stay fairly tame (for Shaft anyway) until halfway through when they let loose with a sketchy hand-drawn style that flows and better matches the energy of the song. The theme of the Kawamoto sisters being an escape from the darkness in Rei’s life is even shown in this introduction as they literally bring the warm colours into the visuals by the end. The ending theme is Orion by Kenshi Yonenzu, which is much more thoughtful and slower in tempo by contrast. It works well to wind down after each episode. The visuals during this tend to use a similar style to the pencil-drawn aesthetic as used in the Kawamoto home that I compared to Raymond Briggs’ illustrations in my review of Part 1. The music and visuals allow both to stand out and keep them distinct from one another while also being catchy and memorable, as any good opening and ending should be. This release of Series 1, Part 2 comes as a Collectors Edition and contains Episodes 12-22 (split across 3 Blu-ray discs) followed by a recap episode. The packaging is a rigid case, with a digipack to house the discs. Just like Part 1, this release comes with a 40-page booklet of production notes, character profiles, end card gallery and a section showing the art used throughout the ending title sequence. On-disc extras include the usual textless opening and closing title sequences, as well as Meow Meow Shogi Shorts #2-10, a series of sing-a-long shorts explaining the rules of shogi with animated cats. If you read my previous review then you will know how thrilled I am that there are 9 more of these shorts (intended with as much sarcasm as possible). Trailers are also included for Season 1, along with the announcement trailer for Season 2. The release comes with the original Japanese audio with English subtitles, as well as the English dub. Both casts continue to do an excellent job delivering a wide range of emotions across a series of characters that continually grow deeper as the series progresses. 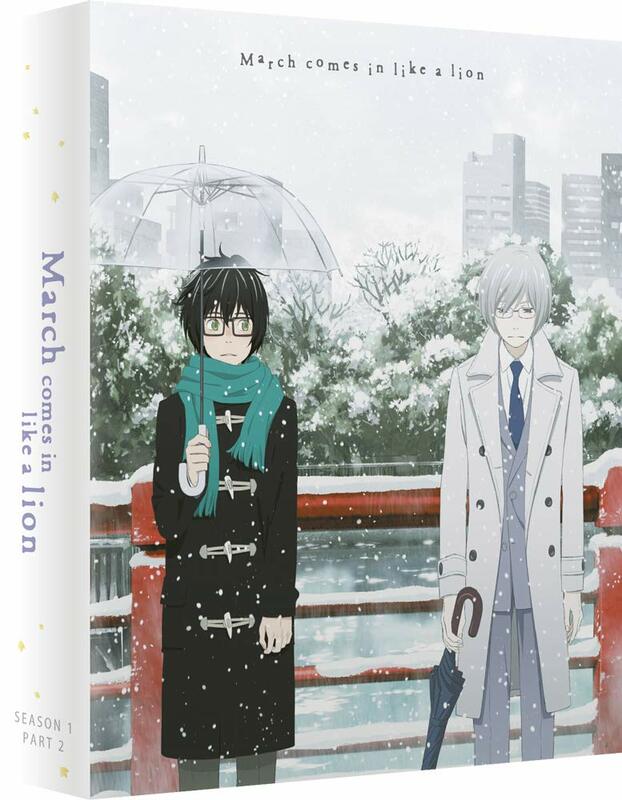 March Comes in Like a Lion Season 1 Part 2 builds on an already excellent first part to the series and continues to develop its cast of well defined, deep characters. The visual variation of the animation and the music work amazingly well together in capturing the series’ wide range of tone. It effectively portrays the struggles of adolescence, social pressure and depression honestly without leaning into melodrama. But give it a chance and it will also surprise you with some great laughs and some genuinely heartwarming moments. March Comes in Like a Lion is a thoughtful and emotional coming of age story that, if you can invest in its characters, is well worth your time.